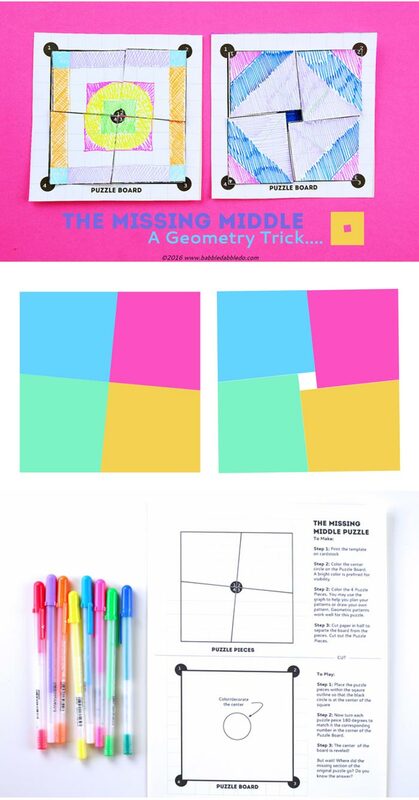 I love a good magic trick, especially when it doubles as math game and geometry lesson! 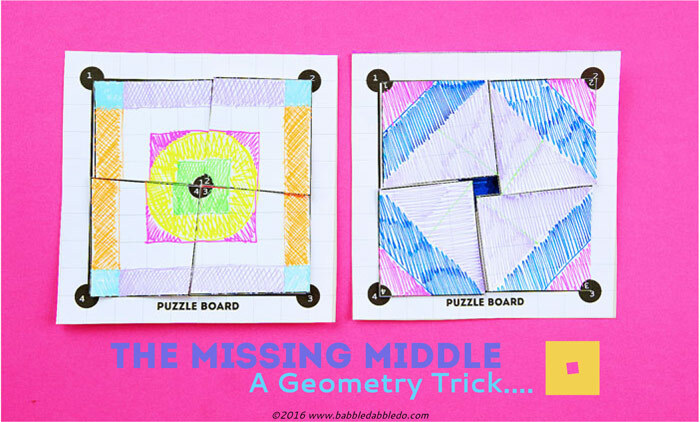 The Missing Middle Puzzle is a great way to discuss geometry and area with kids. You might have seen the magic chocolate puzzle that was popular on facebook about a year ago. I never got it out of my mind and then found an explanation of vanishing area puzzles in one of my fave books by Martin Gardner. So I created a printable version of yet another variation of this idea (there are lots of them I came to discover) and I think you guys will enjoy it too! 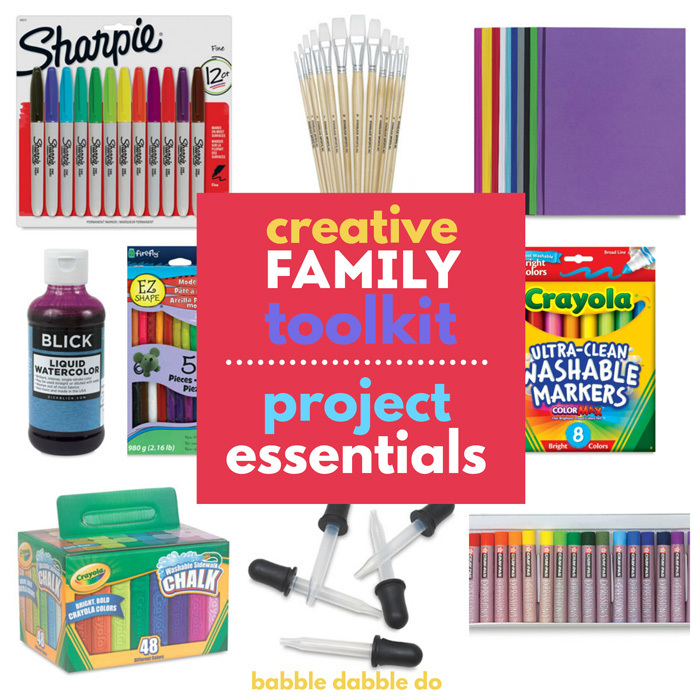 Markers Optional to decorate. 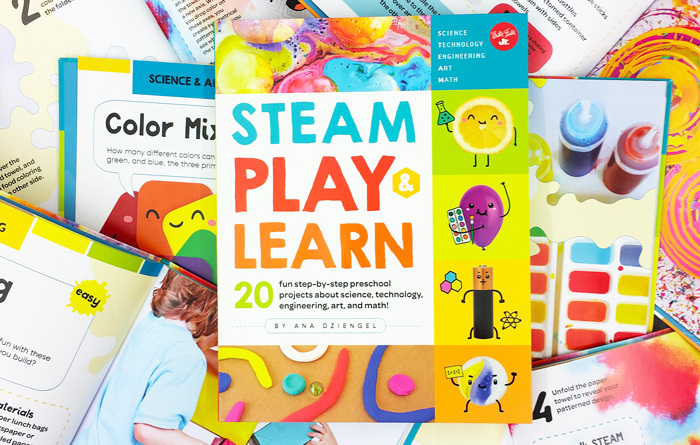 These are one of our faves. Step 1 Print the template on cardstock. Step 2 Color the center circle on the Puzzle Board. A bright color is preferred for visibility. Step 3 Color the four Puzzle Pieces. You may use the graph to help you plan patterns if desired. Geometric patterns work well for this puzzle. Step 4 Cut paper in half to separate the board from the pieces. Cut out the Puzzle Pieces. Step 1 Place the puzzle pieces within the square outline so that the black circle is at the center of the square. Step 2 Now turn each puzzle piece to match it the corresponding number in the corner of the Puzzle Board. Step 3 The center of the board is revealed! But wait! Where did the missing section of the original puzzle go? Do you know the answer? So what is going on? It appears that the squares in both configurations are the same size, right? But look closely, when you rearrange the pieces in the second configuration you are actually creating a square that is just slightly larger than the first square. The difference is so small however, that it is almost imperceptible to the eye! 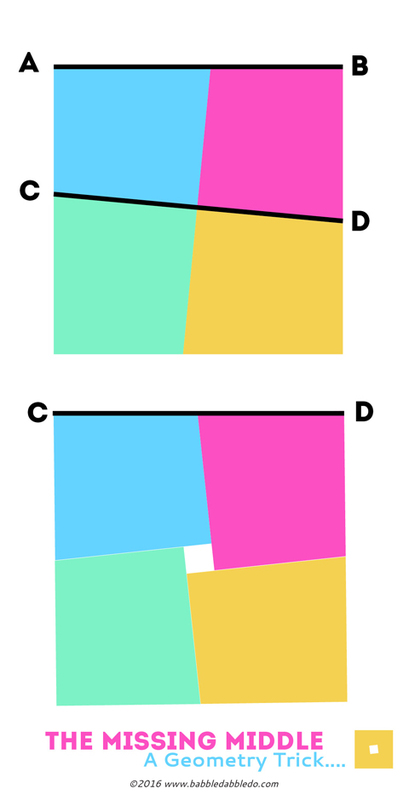 The extra area created in the larger outline of configuration 2 is equal to the are contained in the missing center. 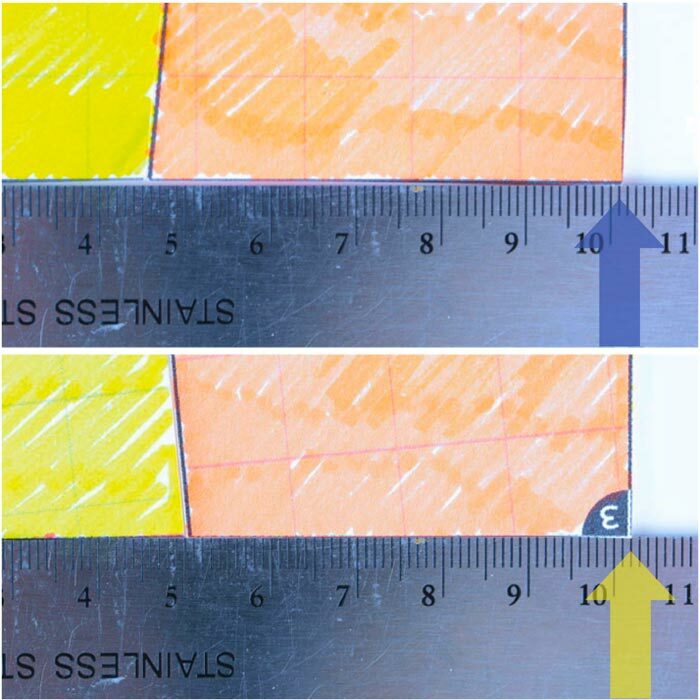 Another way to visualize this is as follows: the line from point C to Point D in the diagram below is the length of the side of the square in configuration 2 . It is clearly longer than the line from point A to point B, which is the length of the side in configuration 1. 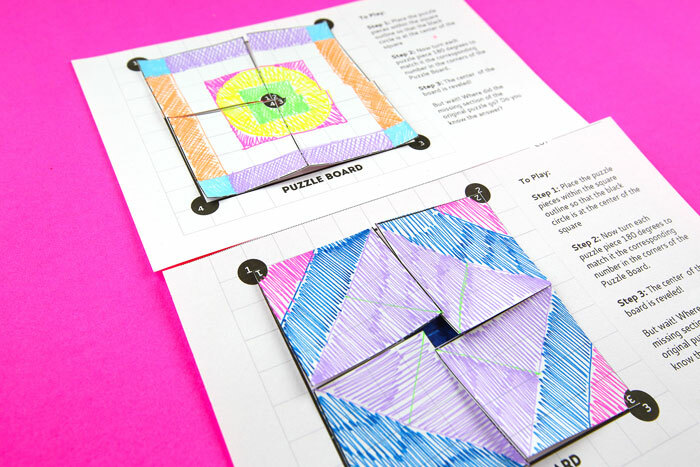 A fun variation on this puzzle is to decorate it! 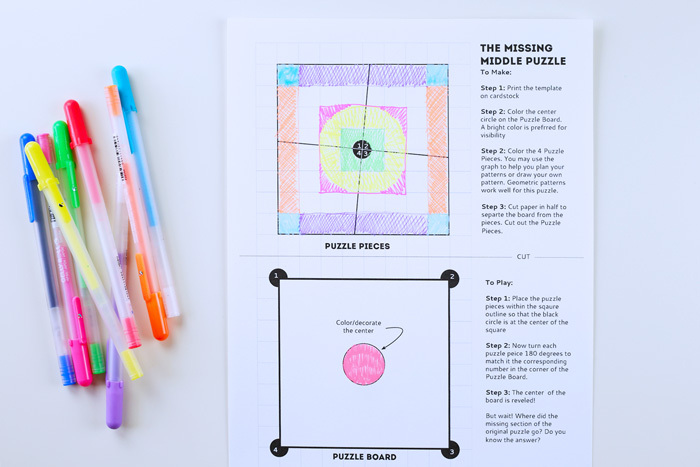 Start with the blank puzzle and color in a geometric pattern on the puzzle pieces. I recommend a geometric/symmetrical pattern. 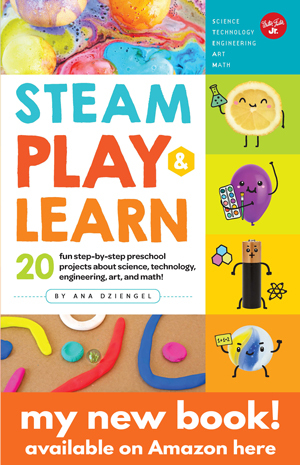 When the pieces are rotated watch how your design changes. 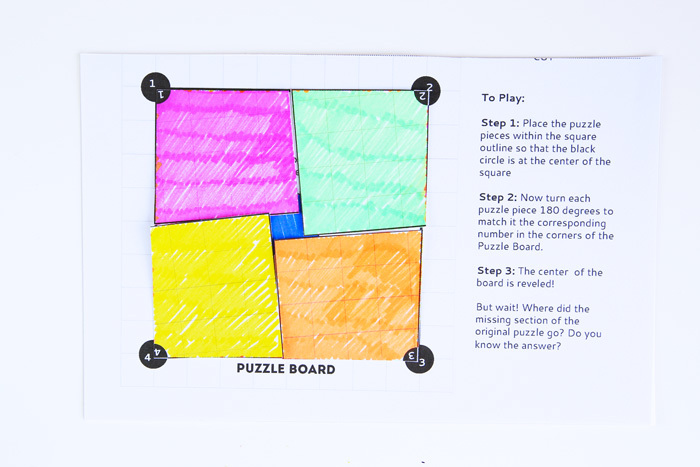 Use cardstock for this puzzle! Paper is too thin and the sides will curl up when you cut and color it which will make the illusion harder to see. 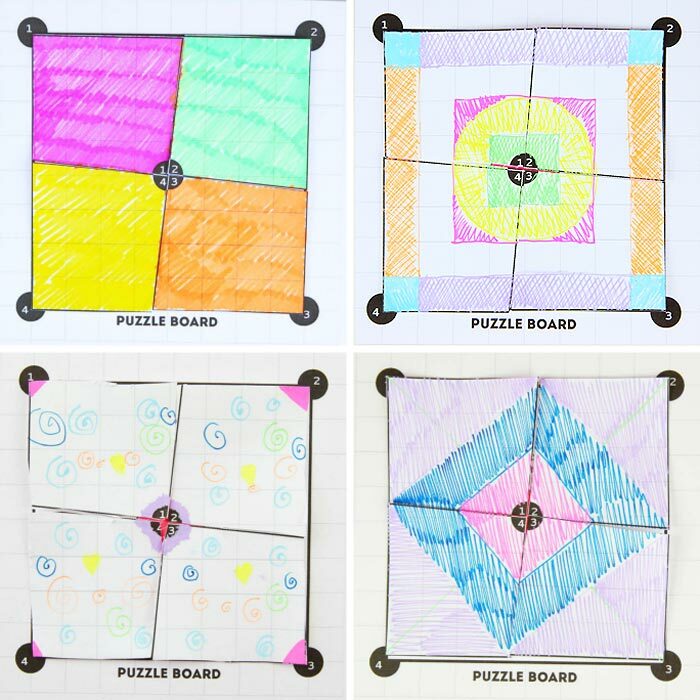 Affix or print your puzzle on a piece of magnetic photo paper and use it on a metal surface. 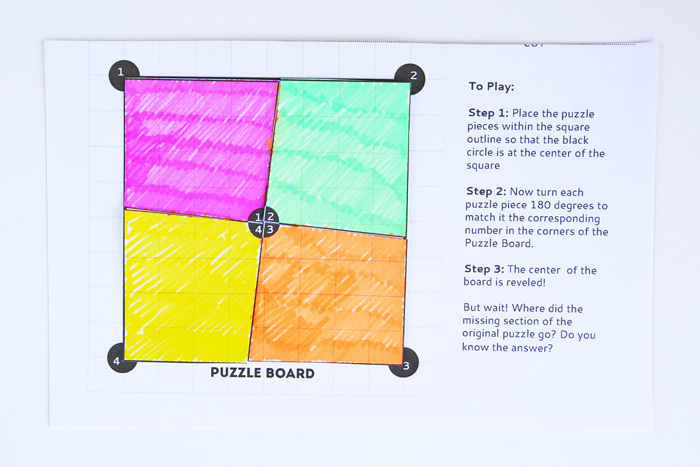 This will help the puzzle edges stay in place. Be sure to cut the puzzle out accurately. If the edges are jagged the illusion will be broken. 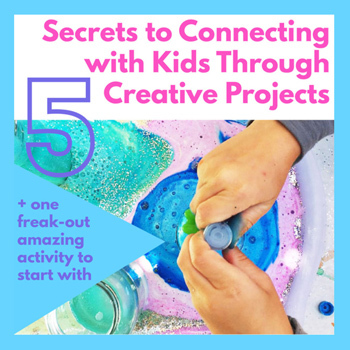 This project is best suited for older kids, ages 8+. 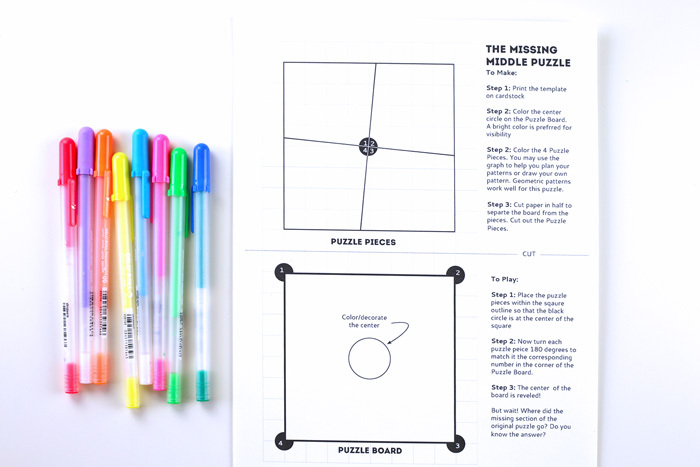 A good math game is a wonderful way to challenge and engage young thinkers and The Missing Middle is perfect for kids who are learning about geometry and area. It’s also a good trick to play on adults too!